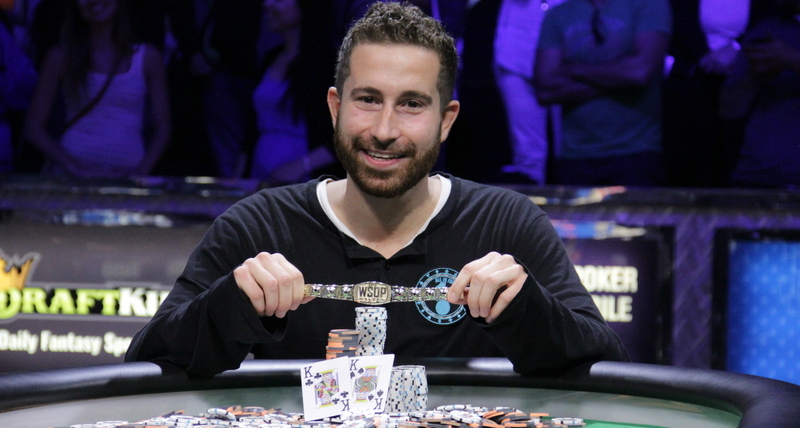 Jonathan Duhamel took home the 2015 WSOP $111,111 One Drop High Roller and earned $3,989,985 in the process. This is Duhamel’s second career gold bracelet. He climbed into 8th place in career money earnings with $16,738,193. Duhamel beat out a field of 135 well seasoned players including Phil Hellmuth and Dan Colman. Colman knocked out Dan Perper in fifth place and Ben Sulsky in fourth to take a sizable chip lead into three-handed play with Duhamel and retired manufacturing company owner Bill Klein. Duhamel was able to pick up some big pocket pairs in key spots against Colman to find two huge double ups. Colman was left short and got his last chips in preflop with the Kspades/Jspades against Klein’s pocket aces. Bodog Releases Odds for the November Nine! Is Live Poker Taking Over the Online Scene? 5 Coolest Superhero-Themed Slot Games! COPYRIGHT © 2012-2019 UltimatePokerInfo.com. All rights reserved.